No offense, Mme. Guillemet, but you aren’t exactly selling me on a marriage the way you avert your gaze everything away from your husband. 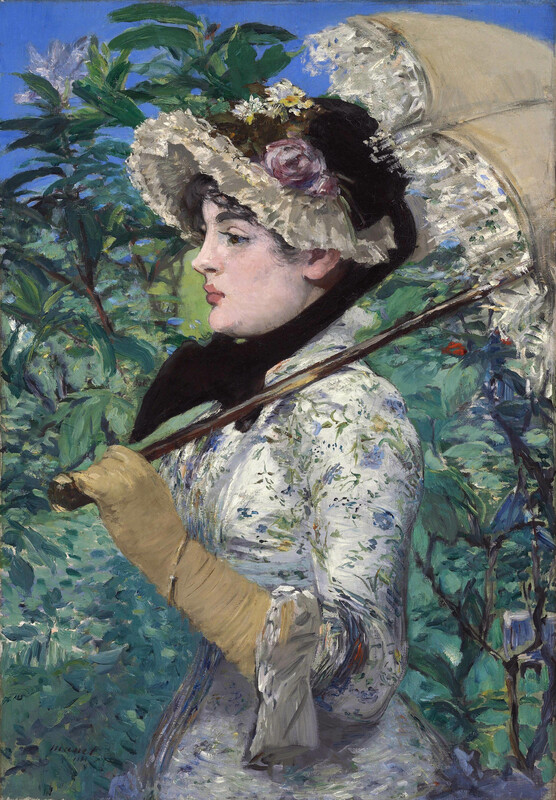 Manet’s “Spring” fetched a whopping $65 million at auction last week. Turns out the buyer was the Getty. “Spring” was meant part of a series of women representing the seasons, but Manet only completed “Spring” and “Autumn” before he died in 1883. I don’t know why it’s taken me so long to realize that a full bonnet with a polka dot veil is the way to go for Jazz at the Garden. Too long, obviously, as Jazz in the Garden ended this past weekend and I wasn’t even in town. 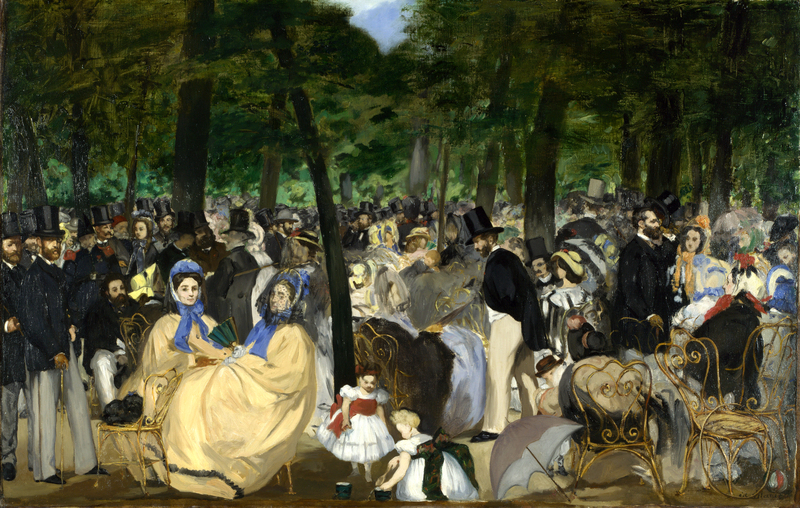 Renoir’s “Music in the Tuileries Gardens” was painted in 1862. 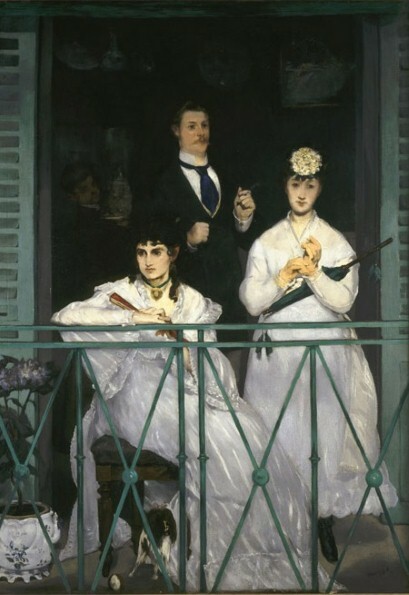 Manet once said, “I would kiss you, had I the courage.” I’m guessing he tried that line out on the ladies that are leisurely sunning judging themselves on the terrace. Goodness, Manet, did that line ever work?! 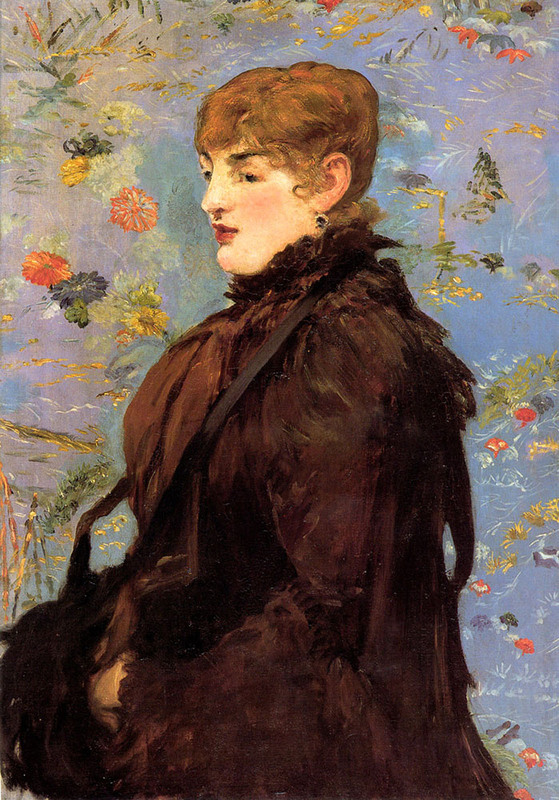 Painted and exhibited at the Salon in 1882, Manet’s work examines a popular nightclub. While I could talk your ear off about the mirror, I’m more interested in that bowl of oranges. The Folies-Bergère was a cabaret music hall and known to entertain men in a myriad of ways. 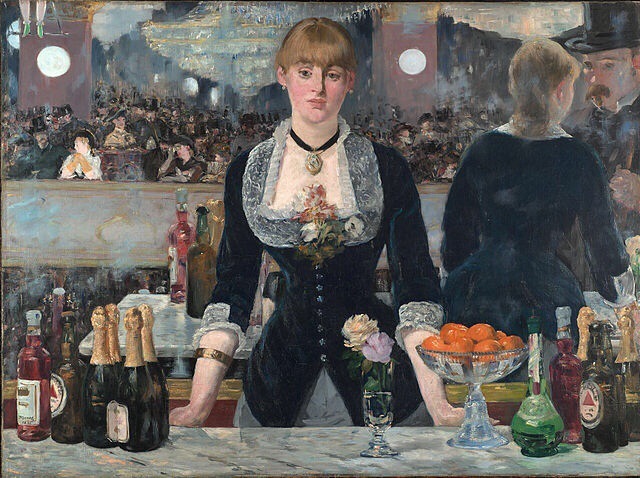 Manet lets us know the bartender Suzon is…erm, on the menu…in that he presents her with a bowl of oranges. Talk about a full-service bar, amiright?! Manet painting Monet’s family. Say THAT five times fast. Also, I really need to venture out in a full skirt and bonnet to enjoy a leisurely Saturday with chickens. I need that like I need another Anthropologie dress, so that’s actually a goal today.